Donald Trump continues to bare his fangs and exhibit his anti-migrant polices, or so it seems. Take his stand on the United States Diversity Visa lottery Programme, for instance! Recently, millions of people who submitted an application for it may presently check the results online, to find out in case they’ve emerged victorious. Just a small fraction of the candidates will emerge winners of the lottery, and out of these people, a smaller figure still will actually present an application for a visa, present papers, and face screening at the US embassy. Finally, just roughly 50,000 individuals will get a visa and decide to move to the destination. The US hosts the lottery every year, sending invites and accepting the petitions from those people who are from the nations that do not send several immigrants to the destination. Though it’s the 25th year that the overseas hotspot has chosen would-be immigrants, via the visa lottery, it’s the first time that aspirants — looking forward to become Diversity Visa immigrants — have reportedly been termed “the worst people” by the US president. While the wannabe immigrants were registering for the visa lottery last autumn, the incumbent President Trump, reportedly, launched a vicious attack on the scheme and those who move to the place via the same. In the following months, he has increased his attack, focusing his energies on this small part of a huge and difficult immigration structure. As per the information that we have on the subject, the scheme was generated as part of the Immigration Act of 1990 even as the visa lottery was just one part of broader regulation that expanded lawful movement then. 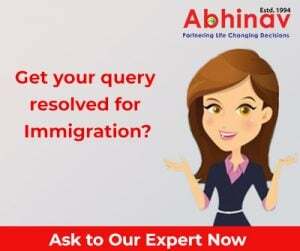 Even as the initial push for the scheme was to make the immigrant visas accessible to the white Europeans who felt deprived by the latest amendments made to the immigration structure, the same also resulted in fresh immigration breaks for the individuals from across the globe. Would-be immigrants from majority of African nations that were traditionally obstructed and left out have been the key beneficiaries of the lottery scheme. While close-to 360,000 immigrants from Africa resided in the US in 1990 presently their figure stands at over 2 million. Over 400,000 migrants from this part of the world moved via the lottery — the maximum from any particular area. The change signifies a crucial development. More individuals from Africa have moved voluntarily during the previous 25 years, vis-à-vis those were brought unwillingly via the trans-Atlantic slave trade. The scheme has proved highly gainful for the immigrants from Africa even while it allegedly appears to be the key reason why Trump does not like the same. In case he wants to restrict the figure of the people shifting from African nations, ending the visa lottery would do precisely the same. Trump, reportedly, suggested that other nations utilize the lottery to send their “worst people.” Undeniably, people submit an application for the visa lottery, and the US chooses them — other administrations are not involved in the process in any manner. The US president’s observations, concerning the diversity visa lottery, do not make any sense — he continually mischaracterizes how the scheme functions and its object — except when viewed as component of his bigger worldview on immigrants and overseas movement. The administration has been laser-focused in its attempts to check and lessen immigration from the nation it identifies unwanted, and to threaten and scare immigrant societies in the US. The United States Citizenship and Immigration Services (USCIS) deleted the language terming America a “nation of immigrants” from its mission declaration, to allegedly classify a newly punitive approach towards the lawful immigrants, like those who move via the Diversity Immigrant Scheme. For the preceding 25 years, the visa lottery has assisted expand US immigration and improved the reputation of the US overseas. The in-office US president seems to have a narrow, dangerous idea of what it really denotes to belong in this nation. For a large number of wishful immigrants, the existence of the lottery has long indicated that the US places high value on crafting a racially & culturally diverse world. Perhaps, it was possible to accept it as true this as they submitted their names for the lottery earlier. However, as they go through the results on the website now, perhaps, they may not still be very motivated.